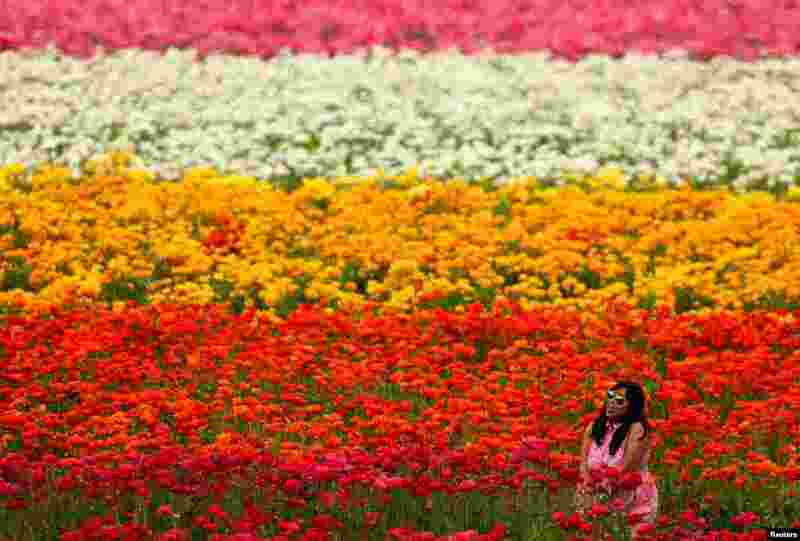 5 A women sits in a field of Giant Tecolote Ranunculus flowers at the Flower Fields in Carlsbad, California, on the first day of spring, March 20, 2017. 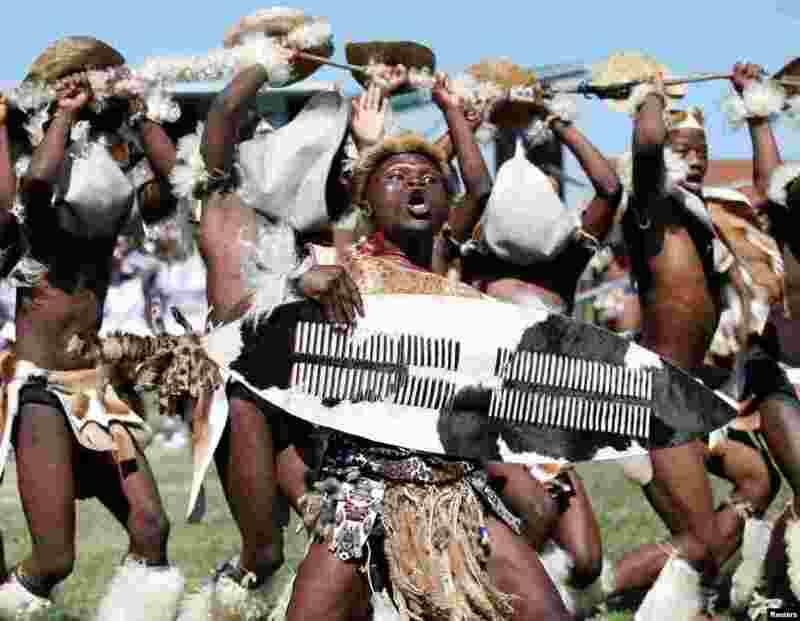 6 Contestants perform during the annual Ingoma traditional Zulu dance competition in Durban, South Africa. 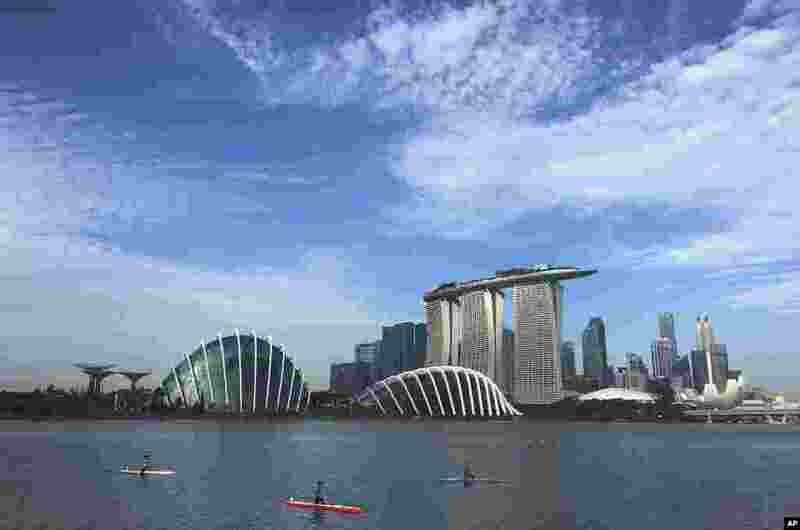 7 Kayaks are dwarfed against the skyline of the Marina Bay in Singapore. 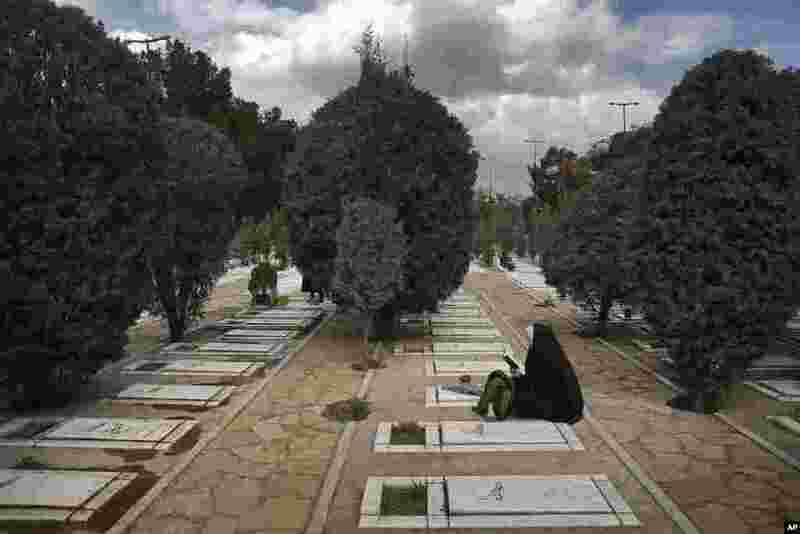 8 An Iranian woman prays at the graves of unknown soldiers who were killed during 1980-88 Iran-Iraq war, at the Behesht-e-Zahra cemetery just outside Tehran, March 20, 2017, on the eve of the Iranian New Year, or Nowruz.